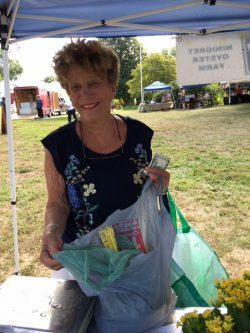 The bell rang one more time for 2018 (in Linda Style) and the Market came to life. 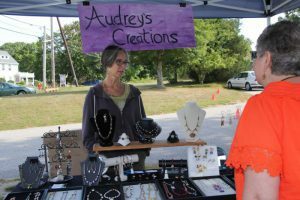 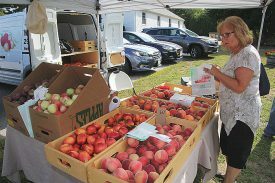 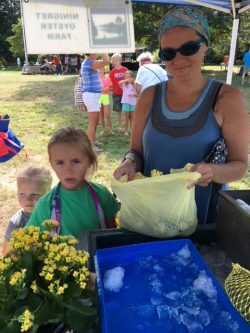 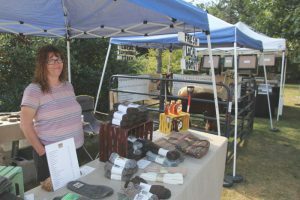 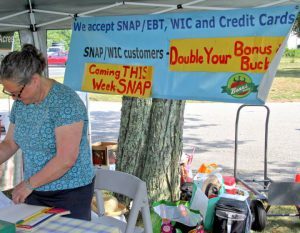 Season 11 was drawing to a close, but not before Shoppers and Visitors, Vendors and Volunteers prepared for Labor Day Weekend, procuring just what would be needed for the final Hurrah of the Summer. 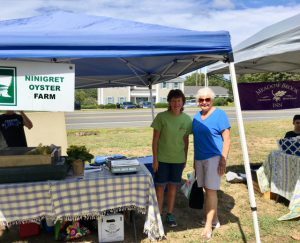 Three Jewels of the Summer who shone forth this year (all with varying versions of the same name) included Julie who staffed our SNAP/EBT/Bonus Bucks table, Jules, our intern from URI and our crown jewel, Market Manager Julia. 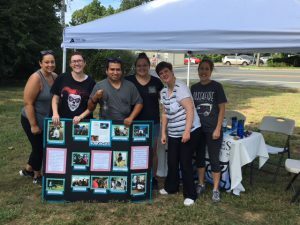 And through the latter part of the summer our volunteer team has been rounded out with PERSPECTIVES workers….Three cheers for ALL the work they’ve done!!! 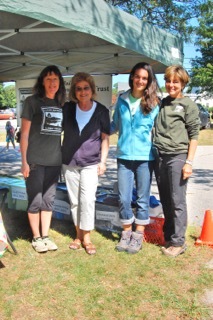 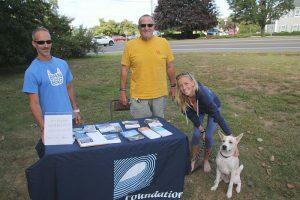 Surfriders RI were on hand to share their mission to enjoy and protect our RI coastline. 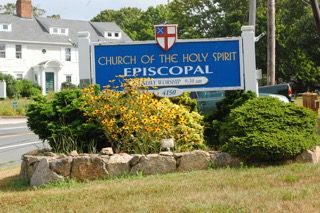 Finally, a word about our host site: The Church of the Holy Spirit has generously welcomed us as we have set up shop across their green front yard for the past 7 years. 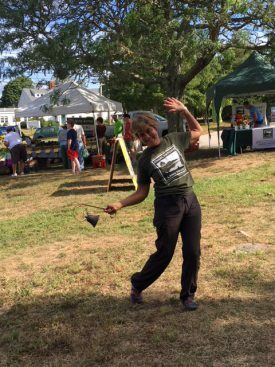 Every Friday morning the lawn is mowed, the parking lot available, and there is an environmentally focused Children’s Activity staffed by parishioners under the tree not far from the Alpacas…We are ever grateful for the use of this lovely open space. 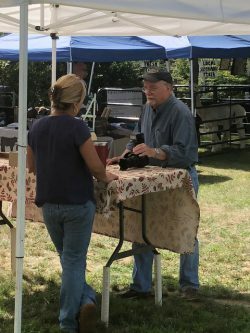 Come next winter you may want to browse through the photos from the past in fond recollection – and then start anticipating the coming summer season. 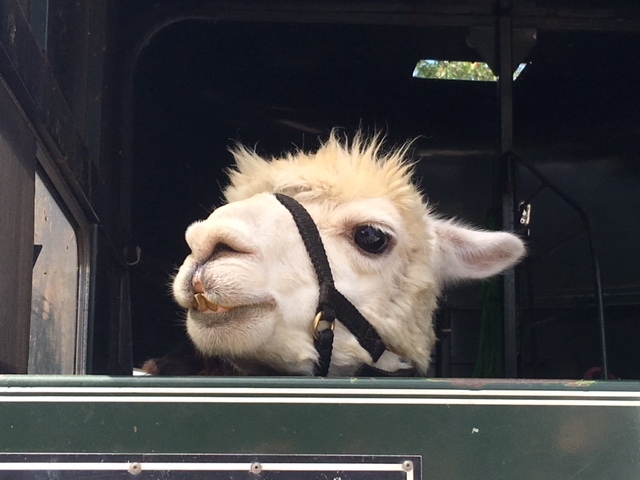 Farewell Gandolf! 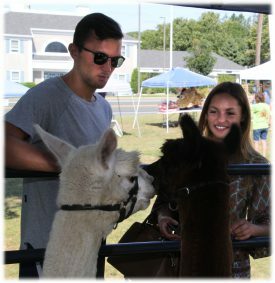 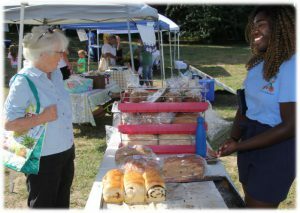 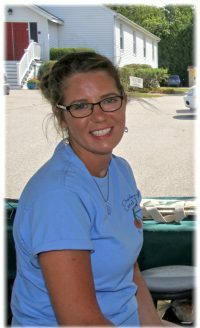 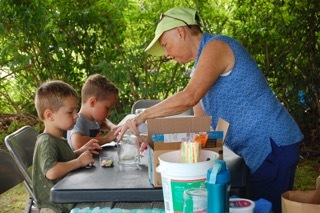 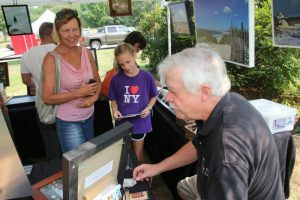 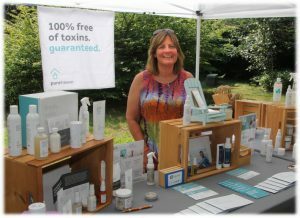 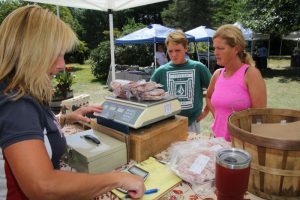 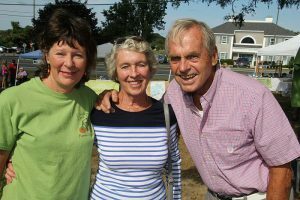 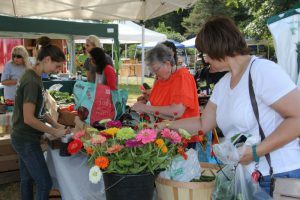 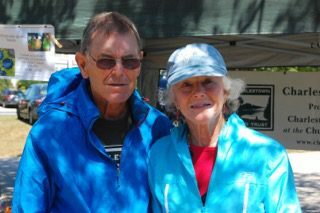 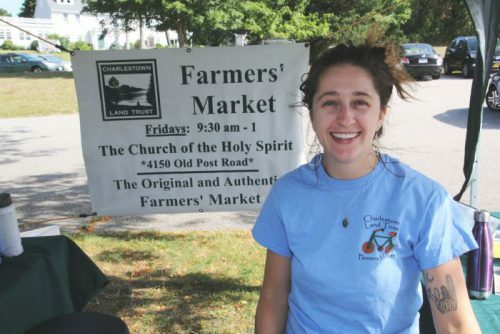 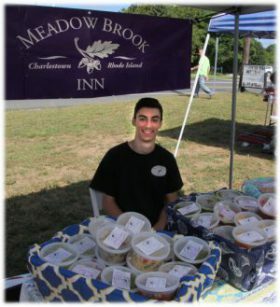 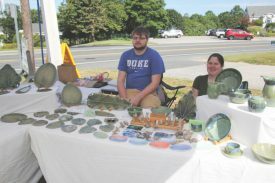 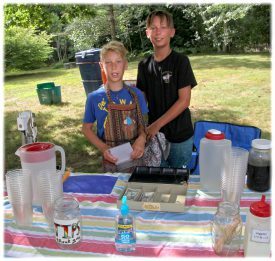 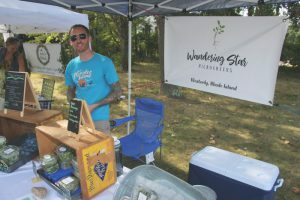 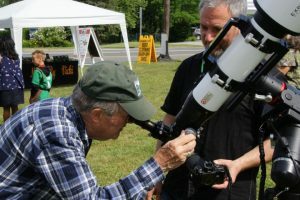 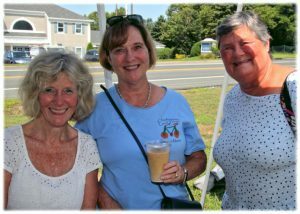 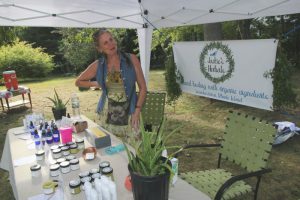 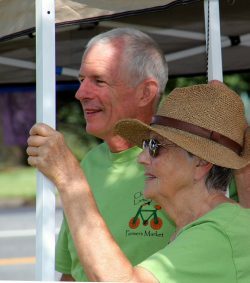 We look forward to seeing you and Carl and all the Gang back at the Charlestown Land Trust Farmers’ Market toward the end of June 2019!